Tomorrow is my birthday … or rather the day that the Korean government gave me as a birthday. 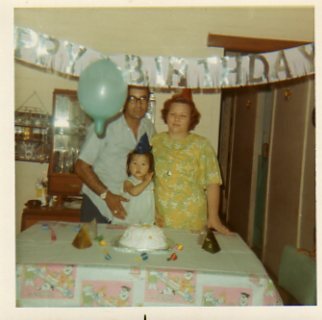 On my first birthday, one of the most important of a young Korean baby’s life, I spent it with my foster parents. They were college professors, according to my mother. The man took my photograph to commemorate the day. According to my Korean friend, the baby is presented with four things: a pencil, a string, chopsticks and money. Which item the child chooses determines her future. A pencil indicates a scholar, the string indicates a long life, the chopsticks insure that the child never will go hungry, and the money indicates a child who will prosper. I have no idea what I chose that day, but I’m still waiting to find out! Many birthdays followed. 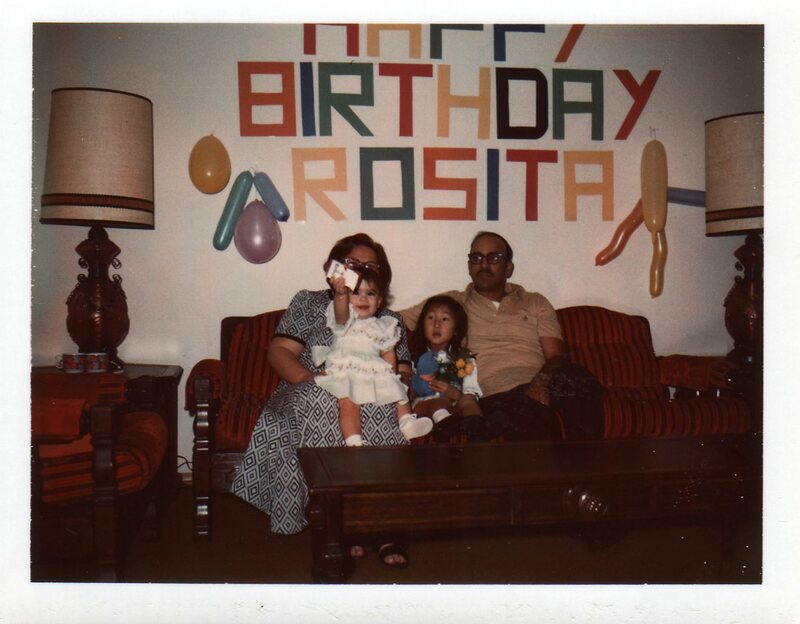 Here you see my first birthday celebrated with my parents in Puerto Rico; I was two. My next birthday, my third, was spent with my mother’s family in Tennessee. My father was stationed in Vietnam. I recall sending him a taping where I just said, “Daddy, Daddy, Daddy, Daddy!” My grandmother and my mother made it the most special of days despite my father’s absence. 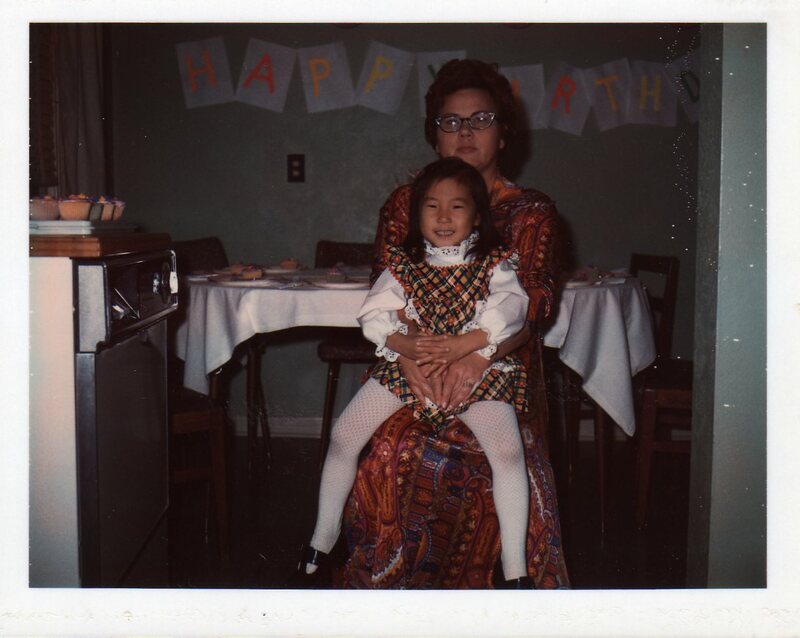 Each year, my mother worked very hard to make November 15th the most memorable of all. She succeeded. 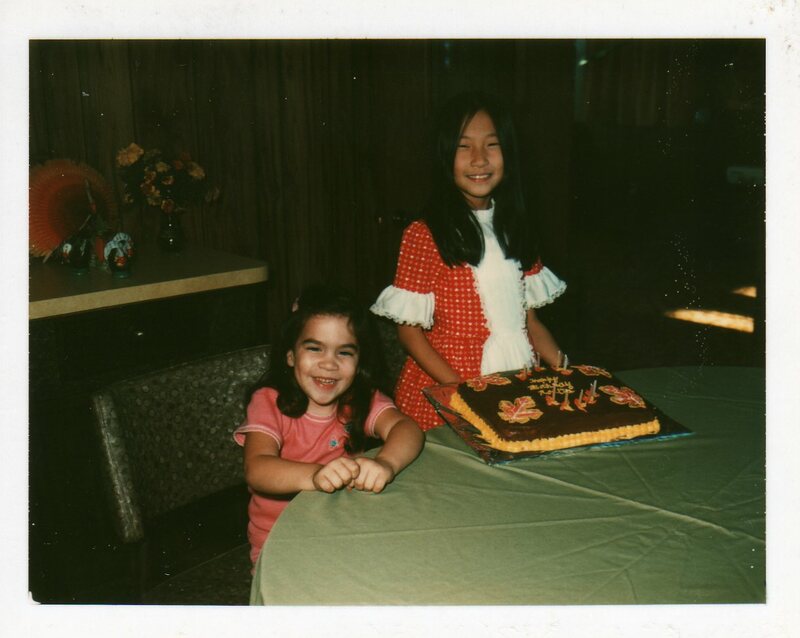 This was one where she made my wishes come true with a cake she fashioned with dancing ballerinas around it. 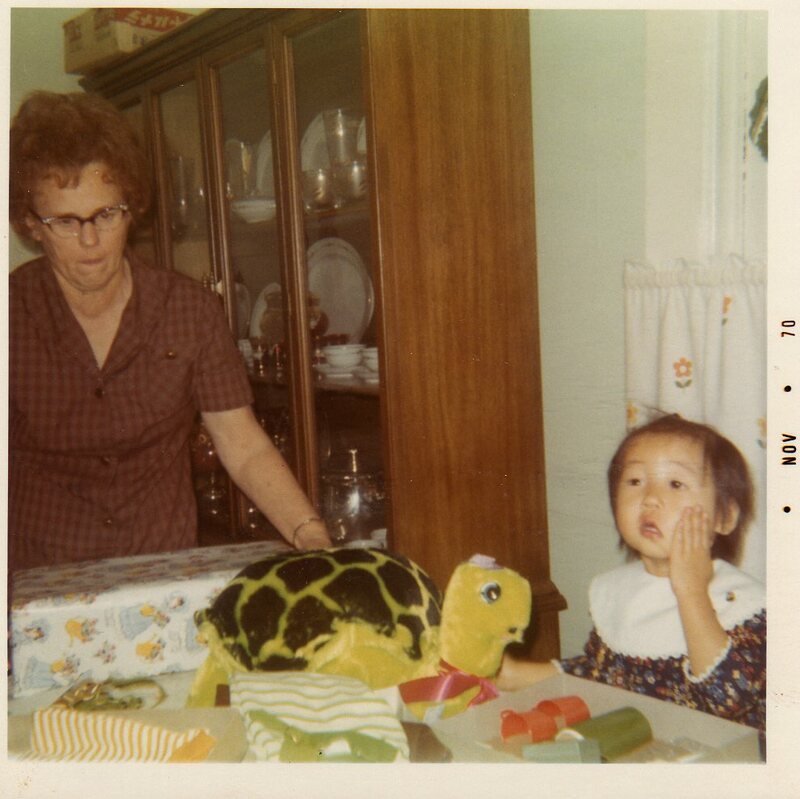 As I turned six, my mother had been hospitalized for some time. She was carrying my little sister, a pregnancy that the doctors had told her might not make it to term. My father made the best of it and bought me a cake. He also fashioned a sign on posterboard for me. I remember visiting my mother in the hospital, she quickly gave me a wrapped present in the cafeteria. As I left, I remember looking longingly up at her hospital room window from the pavement below. She would tell me later that she cried that evening as she watched my little purple coat wave and walk away. The next year was a big one. We had just moved to Lawton, Oklahoma. I had made a few friends, but it really was a party for our family. My mother spent late nights cutting the letters for the signage out of pieces of construction paper. I became older, and birthdays passed. There was my 8th pictured here. And then … I hit nine. We had once again moved. This time we moved to Tennessee, my mother’s birthplace. This was a monumental birthday for me, because I started wondering more about myself and my background. Having been a military brat until this point, I had been surrounded by diversity. 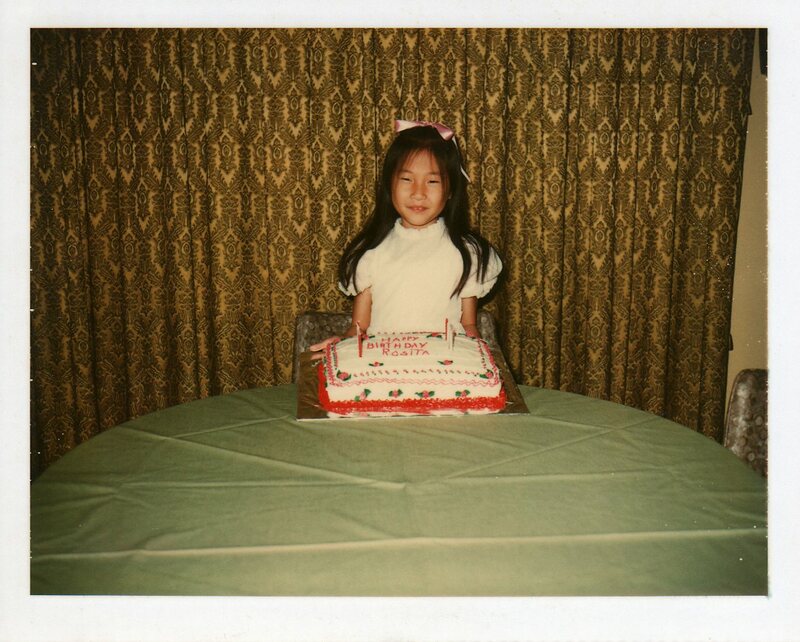 In Tennessee, it was difficult being a lone Asian in a small, rural Appalachian town. I looked more and more at the paperwork my parents had received, and I realized that I was different in another way. 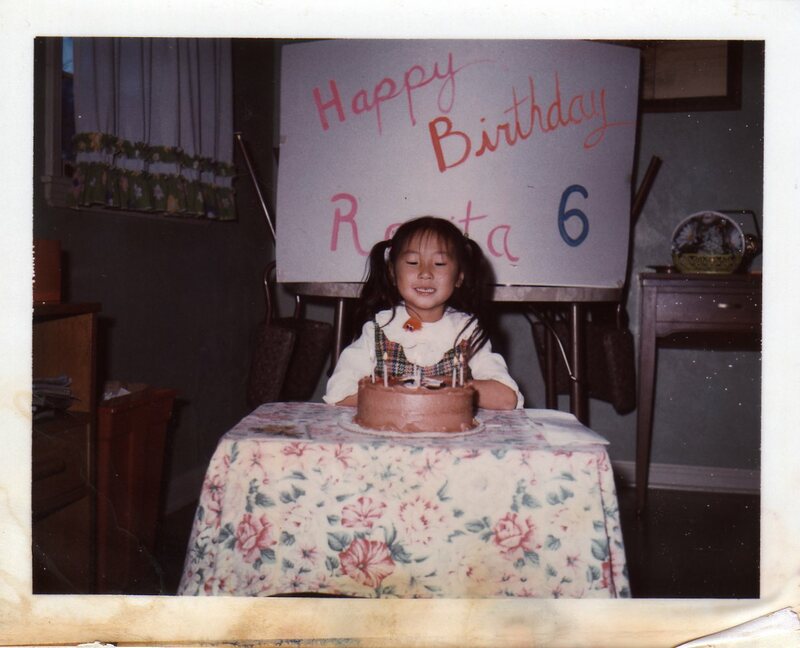 The day I had always celebrated as my birthday, may not have been my birthday after all. When I had been turned into the police station, I had no papers with me. I was taken to a doctor, where my approximate age was determined. Then, the government gave me a birth date, the middle of November, as an estimated birthday. So, every year, I wonder if November 15th is in fact my birthday, or if I could have been born on the same day as my sister, the 20th, or on the 11th, or the 17th or so on. I know nothing about the circumstances of my birth. This never entered my mind until I had given birth to my children. Now, I do wonder at times if my birth was easy for my birth mother, if I was born early in the morning after a long night of labor, or born late in the day after many hours of daylight labor. Was I her first child? Or was I a subsequent one whose labor lasted only a short time? While I am content with my life now, I still have unanswered questions. But I know that the answers make little difference in the person I am today. The rich birthday celebrations that I have had were celebrations of not only my birth, but celebrations of my place in a loving family. 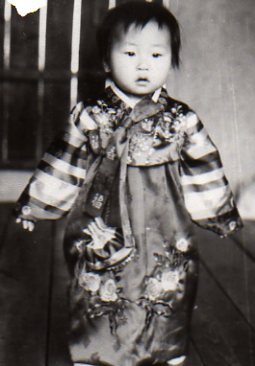 This entry was posted in adoptee, adoption, adoptive child, biological child, birthdate, birthday, East Tennessee, Korea, Korean, Korean baby's first birthday, Lawton, mother, Oklahoma, siblings, Tennessee on November 14, 2011 by mothermade, the blog.